We are an award winning company that is an industry leader in providing a one-stop, single-source-solution for your Real Estate, home buying and selling, downsizing, de-cluttering, estate sale, rental property management and absentee home watch needs. We know of no other company that truly provides a one-call solution and has the expertise to facilitate and execute all your property and transition needs. We pride ourselves on personally handling all client calls and being on-site at every job. When you call us, you get us. The very person you speak to is on-site at your property, so you will not have the confusion of talking to multiple service providers. We are dedicated to providing you with the comfort of total peace-of-mind. So if you are relocating, downsizing, taking an extended work assignment out of the area, taking care of an elderly loved one or settling an estate and live a busy life style, then we are the professionals you are looking for. We understand that you may be going through an emotional and exhausting time. Our one-stop services are designed to make your life just a little easier. We proudly service Pennsylvania and the counties of Bucks, Montgomery, Philadelphia, Delaware, Chester and the Main line. In New Jersey we service the counties of Hunterdon, Mercer, Monmouth, Morris, Middlesex, Union, Ocean, Burlington, Essex and Somerset. With Personal Property Managers....one call does it all. Our Story. Personal Property Managers was founded by Nicholas and Joseph Santoro. Our clients are often too busy, located out of town, have properties in PA or NJ, are caring for an elderly loved ones or are in the process of moving or downsizing. Our vision is to provide you with total peace-of-mind. How do we do this? We provide a one-stop solution for home content downsizing, home cleanouts, content sale and liquidation, estate sales, full service discount real estate services and moving services. With Personal Property Managers...one call does it all. We are an award winning, 2019 best-in-class, service disabled veteran owned business. We personally customize each of our service offerings to meet our clients special needs. When you call us, you get us. We are on-site at each job to assist you, and to clearly communicate with you on on-going projects or tasks at hand. Our technology allows us to communicate with our clients who are often out of town, across the county or overseas. Personal Property Managers is committed to giving back to its community. A portion of our proceeds is donated back to the Veteran Groups who have helped our co-founder, Nick Santoro (USMC, Ret. ), and so many others recover from injuries and wounds suffered in the defense of our freedom and our country. We are committed to supporting the Wounded Warrior Project and The Bob Woodruff Foundation for traumatic brain injury. Click here to learn more from our BLOG or to send us your comments. Click here for TIPS AND INSIGHTS. Click here for Personal Property Managers NEWS STORY. 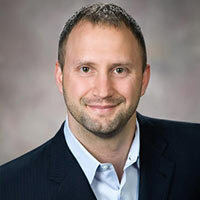 Nicholas Santoro has distinguished himself in personnel, operations, marketing and project management, via a variety of leadership roles in which he has excelled, while serving in the United States Marine Corps and as co-founder of Personal Property Managers. Nick brings integrity, focus and an attention to detail that our clients come to rely on, in managing their residential and investment properties and in their content liquidation via estate sales and senior lifestyle transition services. Nick is a decorated Marine Corps veteran who has been awarded the Purple Heart for wounds suffered in the defense of freedom in Iraq. 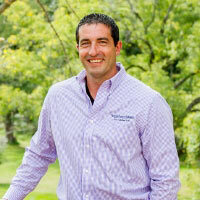 Nick Santoro is also the co-founder and Board Member of the Veteran Owners Business Alliance. Nick is a volunteer in a number of Veteran support organizations including the Semper Fi fund, the Bob Woodruff Foundation and has been award the citizen of the year award from the Bucks County Chamber of Commerce. Nick is a graduate of the EBV program for entrepreneurship for Veterans with disabilities from the Whitman School of Management at Syracuse University, has earned his AA degree from Buck County Community College and has earned Bachelors Degree in Business from Drexel University. Nick is also a certified estate sale expert and a licensed Realtor in PA and NJ with EveryHome Realty. John Wickberg specializes in asset liquidation, estate sales, and home content sales. John helps us to achieve the highest value for our clients, as we work to downsized their contents. John specializes in identifying market value of our client's property contents so that we can market these items to achieve maximize returns for our clients in asset liquidations. John attended Delaware Valley College and is a youth sports coach. Michael Porcelli is an expert in transportation and logistics. Michael coordinates all trucking, transportation and moving logistics. Michael has over 35 years of experience within the trucking and logistics industry and is a US Army Veteran. Michael O'Connell is an Information Technology Architect expert. Michael has a extensive track record of delivering Information Technology solutions that deliver immediate results for our clients, many of which are located hundreds of miles away, and who come to rely on our technology to keep them informed. Frank Barile is our hands-on material handler and is involved in all aspects of customer service at the client level and on-site. 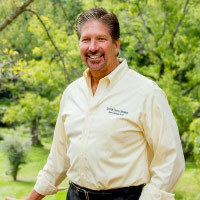 Frank has over 25 years of experience in the field of moving and client service management. Personal Property Managers is a designated Small Business (SB), Veteran Owned Small Business (VOSB) and a Service Disabled Veteran Owned Small Business (SDVOSB). Personal Property Managers, has recently been awarded the SBA Small Business of the Year for Region 3 which includes Pennsylvania, Delaware, Maryland, Virginia, West Virginia and Washington DC and for its Veteran Business Champion initiatives. PPM has also won a COTY, which is the Contractor of the Year, by the National Association of the Remodeling Industry. You can rely on PPM to handle all your rental, home, investment and commercial property needs, while delivering you quality, convenience and peace-of-mind. We provide 2019 'Best In Class' property services. We are EPA (Environmental Protection Agency) certified to train in the new Lead Safe Work Place practice program. We are licensed Realtors in Pennsylvania and New Jersey via EveryHome Realty. PA license RS308044. New Jersey License 1326862. PAHIC registration PA031951. Personal Property Managers was founded with a vision of setting the highest possible client service experience within the residential and investment property management field. We continually strive for excellence and satisfaction in every area of our business. We have a full service network of professional to make our clients life simpler to manage. Now, you no longer need to contact multiple service providers. With Personal Property Managers one call does it all. Our full range of Personal Property Management Services saves you time, money and headaches. Our mission is to provide personalized, one-to-one services. We take the time to listen to our clients, enabling us to become problem-solvers responding to all challenges that arise. Our approach is simple. We are a “hands-on” management team, who operates each property as if it were our own. We are an advocate for you and your property. When you don't have the time, or don't know who to call, and need someone you can trust to manage every detail of your property... give us a call. When you call us, you get us. We are on site at every job. You can rely on us and trust us. With Personal Property Managers...one call does it all. 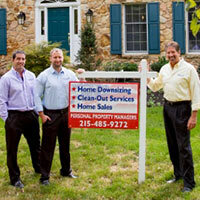 We are Rental Property Management Specialists, and are licensed Realtors in New Jersey and Pennsylvania. We are also certified Real Estate Specialists via EveryHome Realty, RS308044 and 1326862. Please call us for a free consultation at 215-485-9272 or 908-368-1909.